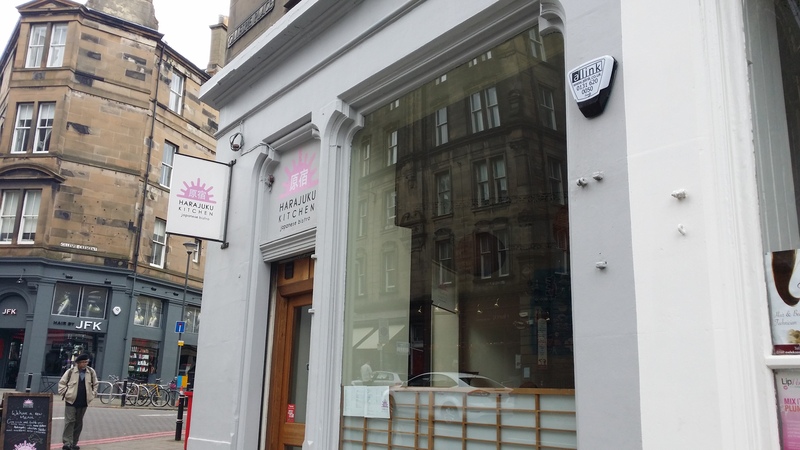 The Edinburgh restaurant scene is fast moving, so I’m sure this boast won’t last for long, but today marked my completion of the full set of Japanese restaurants that our city holds. Harajuku Kitchen, in Tollcross, was the final piece of the puzzle. I was joined in this endeavour by regular guest quester Iain. He’d lunched at the Lioness of Leith, most recently. I’d visited Harajuku’s regular market stall at Stockbridge on a couple of occasions. I’d been impressed so was looking forward to trying dishes from their wider selection. I found Iain seated at a corner table in their smart and airy dining space. We were promptly attended to by the friendly waitress. The menu offered a wide range of options with staple Japanese choices matched with some intriguing sounding items. 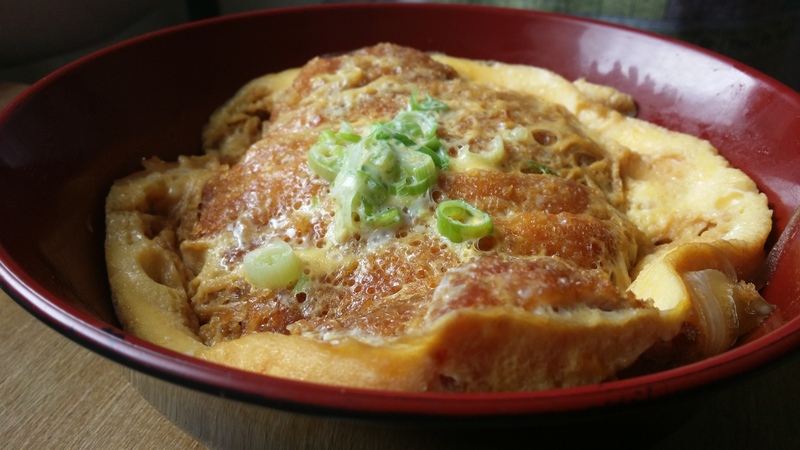 Iain was lured in by the katsudon, a breaded pork cutlet and rice topped with an egg and spring onion omelette, while I opted for the aubergine curry. We shared a portion of pork gyoza to start. Bowls of miso soup were brought, too. These were excellent and one of the best versions I’ve sampled across all of the Japanese places in the city. 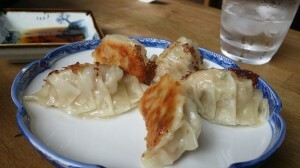 The gyoza were of similarly high quality. Crisped on one side and soft on the other, they packed excellent flavour in their elegant casings. Main courses continued the standard. Both were very hearty and a very generous lunchtime portion. 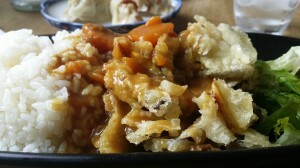 My dish comprised simple, delicately flavoured rice and profuse tempura aubergine pieces served in a light curry sauce. It was impressively good. So overall, I really enjoyed our visit to Harajuku Kitchen. 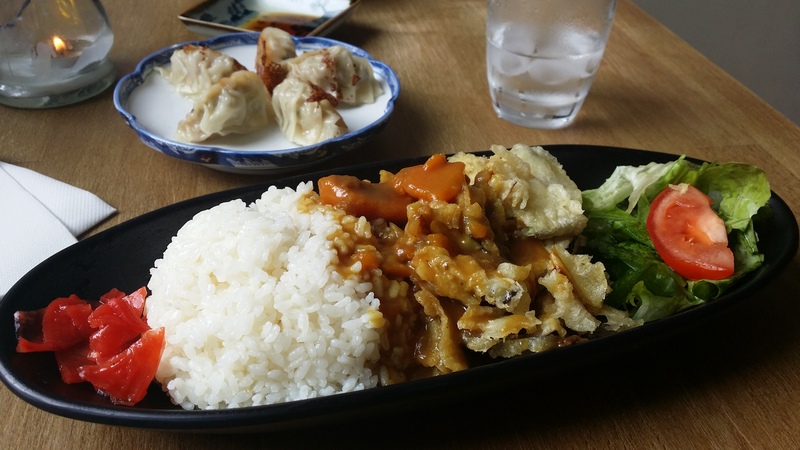 It’s right up there at the top of the crop of Japanese places in Edinburgh. I’ll need to come back again soon to try their sushi and sashimi which I suspect will be very good. I’d highly recommend a visit.